NANCY THOMAS GALLERY ONLINE: BOO! 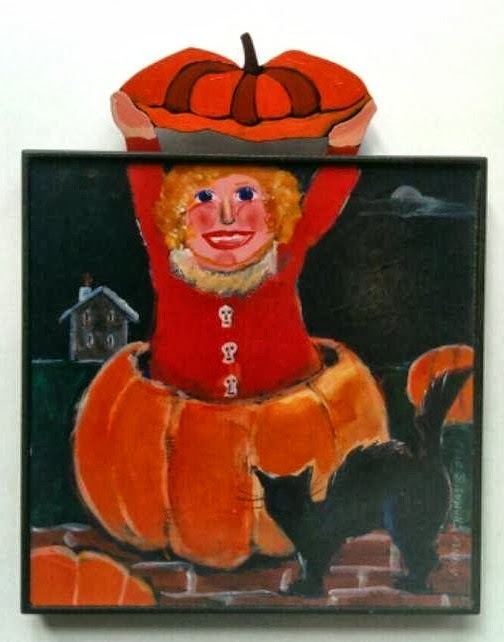 Nancy once again has captured the spirit of Halloween and the Fall Season as only Nancy can! We love this spirited little trickster, popping out of a hollowed out pumpkin, jolting the black cat from it's nightly rounds. 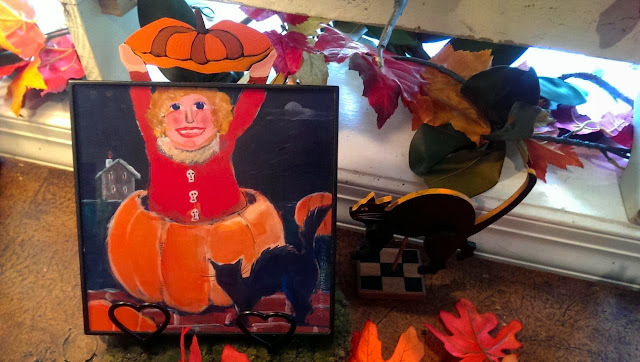 This adorable 8x8 print from Nancy's original painting is mounted on wood with painted-by-hand metal topper. We don't mean to make you jump but there are only 28 available!! Available at both of our galleries.